Nausea: That uncomfortable queezy feeling in the pit of your stomach that makes you feel like you need to vomit. We have all had it. Sometimes nausea is easily explained, like when that cruiseliner encountered a strong summer storm; other times, nausea strikes without warning. Nausea after eating, although incredibly common, can have several different causes. Today, FastMed Urgent Care will explore nausea’s causes and treatment options to help you better understand this horribly uncomfortable condition. FastMed is setting the standard for community medical clinics in North Carolina and Arizona by delivering quality medical care from exceptional healthcare providers every day of the year. To Treat Nausea after Eating, You Must First Understand the Cause. Because there are a number of conditions that can lead to nausea, knowing exactly which one is causing your nausea after eating can be a challenge. 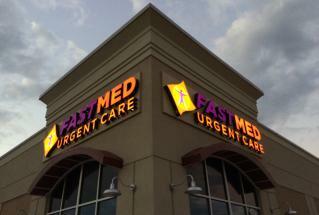 “Being sick stinks, but my experience at the urgent care clinic was top notch,” Kim R. said of FastMed. “All of the staff were kind, helpful, and good listeners.” At Fastmed, our commitment extends beyond the doors of our urgent care, and our medical staff are part of our communities. Need to add some excitement to your local event? Check out how Dr. Kyle can help!